Mineral is a loaded word in wine circles. Someone will always ask reproachfully, “Have you actually tasted a mineral, or are you really talking about acidity; if you are talking about stones, how do you even know what a stone tastes like? ?” Well, yes – yes I have. I know the taste of pulverised oyster shells fossilised in rock. 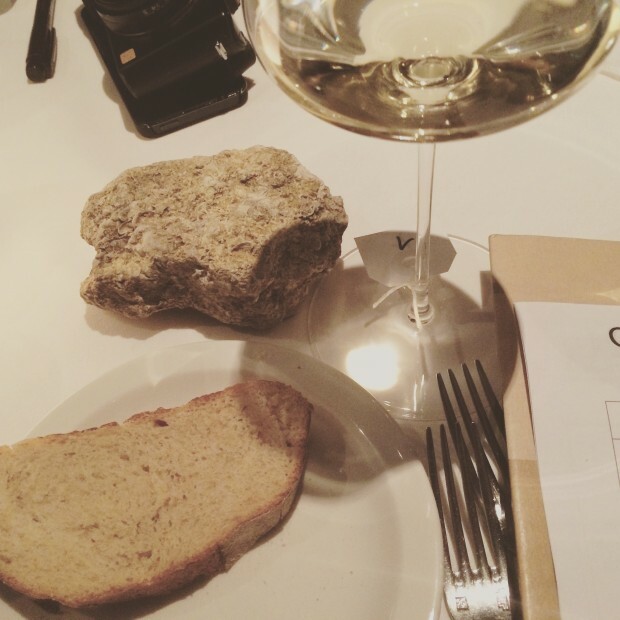 Last Wednesday at The Chancery for a Chablis dinner, I gave this Kimmeridgien stone a good lick while nearly mistaking it for the bread. We are at The Chancery for a three-course dinner devised by chef Graham Long, and where I had a very nice chap sitting next to me. “WHY O WHY do you want pain in your wine?” the nice chap asked as we sat down at our places. I think he was talking about acidity. Apart from my jaded palate needing a good jolt now and again, the good vintages of Chablis have excellent acidity, which means it can deftly handle any food thrown at it and then throw some interesting flavour shapes back. Combined with texture and weight, it is why good Chablis is, as our host Douglas Blyde says, the supreme food collaborator. Well, let’s see – I had my reservations. A whole night drinking Chardonnay is not my idea of fun. And Chablis can be a little bit hit and miss. Either the vintage is wrong, and instead of a finely-etched poem on the back of hard precious metal that you will treasure forever, it is flabby and forgettable. Or the producer is lazy. It’s one of those names that sells itself and so, rather than bowing down and kissing the unique gift of geology that Chablis producers are blessed to have inherited, it can be abused and over-produced. From the very first crab beignet and wine thrust into my hand, I knew this evening was not going to be about the latter. Although the Chablis region has been shaken recently: very few white Burgundy producers have had enough volume over the past few vintages even if they wanted to produce a cynical excuse for booze. The best recent vintage in Chablis is the 2010 vintage. There is very little of this around now. The 2011 vintage is an early drinking style. Moving on: the 2012 vintage has the power, perhaps not the same finesse, and is fuller bodied. 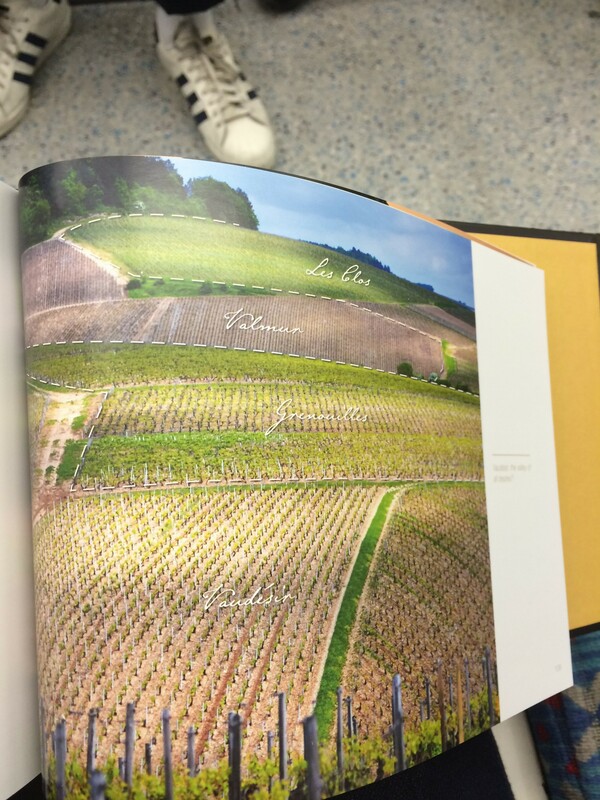 The richness is even apparent in the Grand Cru wines that are surprisingly drinking well now. Most of the Chablis pain in 2012 was for the growers. Most of the vines were wiped out by Mother Nature in this vintage, along with the rest of Burgundy (knowing the vintages in Burgundy does not always help with understanding Chablis: this may be a Burgundy but it sits detached from the Côte d’Or – about an hour and half drive north from Dijon. It seems more reasonable to look at vintage conditions in Champagne to get an idea of the style). Volumes are small. In wine speak, that’s your cue to stock up where you can. For the wine lover, the best Chablis is a delicious type of pain, as a Chablis fanatic will say to you with a twinkle in the eye. Not to get too 50 Shades of Grey, but the fondness for acidity in some circles can get a little masochistic. The best have a taste that is austere, there’s a lack of fruit, and you will experience a whiplash of mineral. Let’s go back to the first wine of the evening. 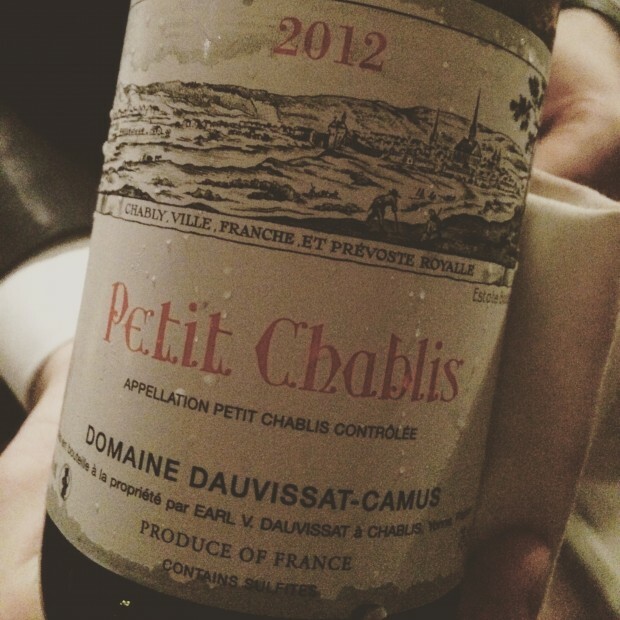 The Petit Chablis Dauvissat-Camus 2012 is a premier cru killer. Normally Petit Chablis can be a shallow little thing, an after-thought in a vintage, and too often its role is filling the gap in sales from a small vintage. Petit Chablis comes from outside town, away from the famous Kimmeridgien soils, but in the hands of Dauvissat this one was a triumph. For a winemaker that insists on “terroir is everything,” he is surely underselling himself with this Petit Chablis. His winemaking may have a little to do with its depth and song. The Dauvissat was a tough gig to follow. The wines ascended in appellation as the evening progressed from humble Chablis AOC to Premier Cru to Grand Cru status. Then a pair of wines from each Cru-level was matched with a course. This was not the classic Chablis food pairing of oysters or rabbit in mustard sauce. 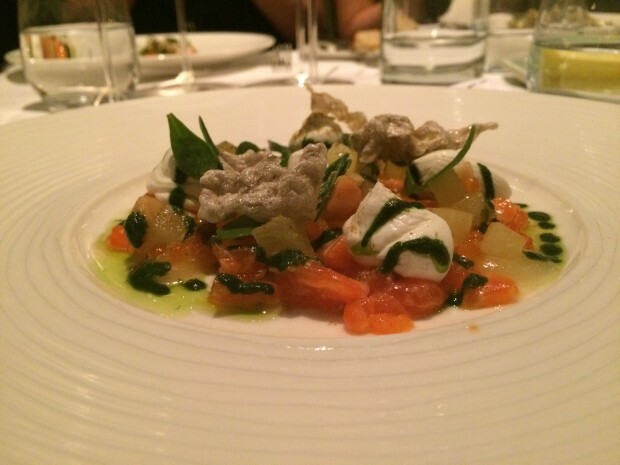 The flavours presented by the Chef, Graham Long, were modern, complex and intricate. But will we taste the purity of the wines over the myriad of flavours? 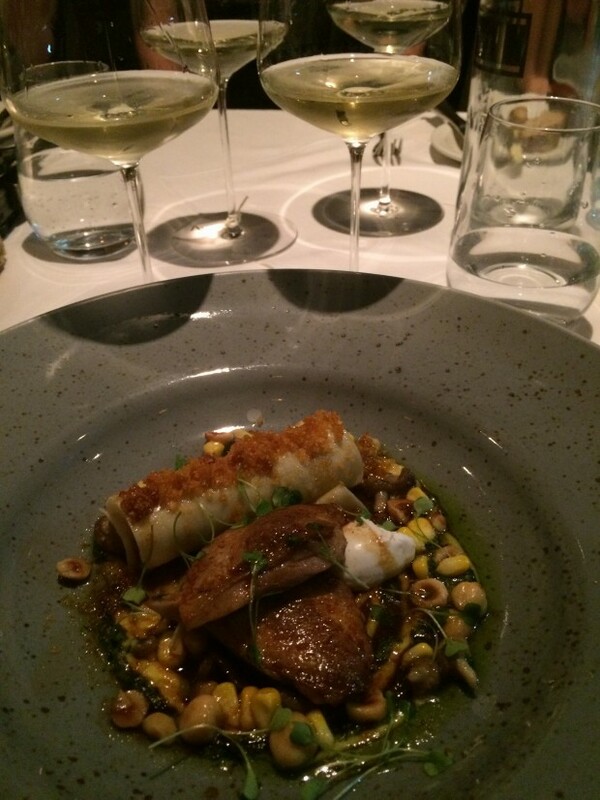 The Jean Marc Brocard, Montee de Tonnerre 1er Cru 2011 didn’t quite have enough breath (or breadth) to reach the heights of the 2012 vintages showing on the night – this is an early-drinking style of vintage without the strong acidity that is needed for a dish like this. Whereas the cool and mineral Val de Mercy, Beauregards 1er Cru 2012 navigated the competing flavours easily. For the Grand Cru Chablis flight we had two famous vineyards – William Fevre, Les Clos Grand Cru 2012 and Samuel Billaud, Les Preuses Grand Cru 2013. If elegance is refusal, as Coco Chanel once said, then the best Chablis shows it can knock back most. No unnecessary flavours in this wine, no flouncy fruits or masking oak, this is drinking in the minimalist fashion. Grand Cru Chablis can get to the state of purity where there is almost no fruit flavour other than stone, oyster shell, pure mineral spring with an added long and creamy finish. As you would expect, the Grand Cru wines had no problem handling this complex dish. Yes, Chablis is the classic aperitif wine. Something to drink after work or with friends. But it can also be so much more. What food pairs well with Chablis? There is no one answer for such a versatile style of wine. This dinner shows it depends on the vintage, the age of the wine, and the producer. Thank you to Douglas Blyde for hosting a great evening at The Chancery Restaurant.